Our Friend Greg Turner has organized a very special Summer Art Event for Wichita. Ruthie Spriggs was an Art teacher at USD 259, City Arts and Arts Partners. She has touched many lives teaching Art to so many. She passed away this last September. 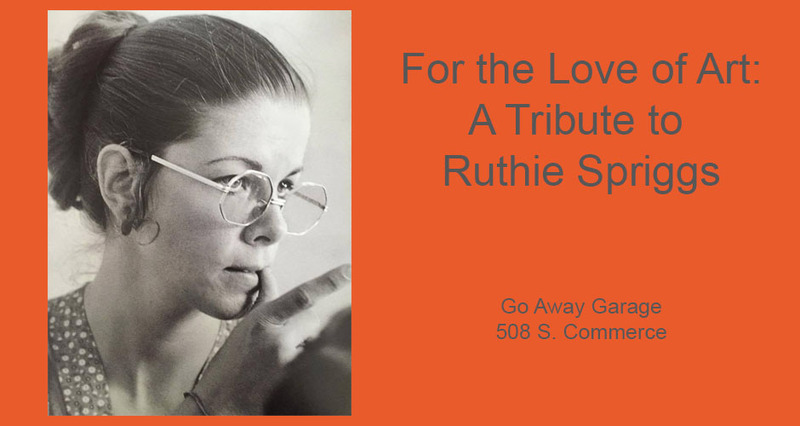 This Exhibit is A Tribute to Ruthie Spriggs. Artists: Greg Turner, Dustin Parker, Marc Bosworth, Ted Krone, Arron Krone, Ann Krone, Tara Hufford Walker, Mark S Walker, Jack Wilson,Ed Langston, David Christiansen,Greg Johnson, Webster Johnson, Karen Scroggins, Jessica O’Brian, Charlotte Martin, and Chad Droegemeier.